January 31, 2014 — It’s been 30 years since the release of the multi-Oscar-nominated film, “The Killing Fields,” which was directed by Roland Joffe (who later became an OpUSA board member), and tells the story of the Khmer Rouge regime in Cambodia, based on the experiences of two journalists. The film is being re-released this year in commemoration of the anniversary, and as we reflect on the film, we are also reminded of our own decades-long relationship with the country. Operation USA has been a key player in Cambodian relief aid for more than three decades. Operation California, as we were called in those days, was the catalyst for opening Cambodia to receive international aid in 1979. In 1984, working with the film’s producer, Sir David Putnam, and Warner Brothers Studios we welcomed many resettled Cambodian refugees to the premiere of “The Killing Fields.” We went on to bring the film to Cambodia in 1986 for its premiere there. 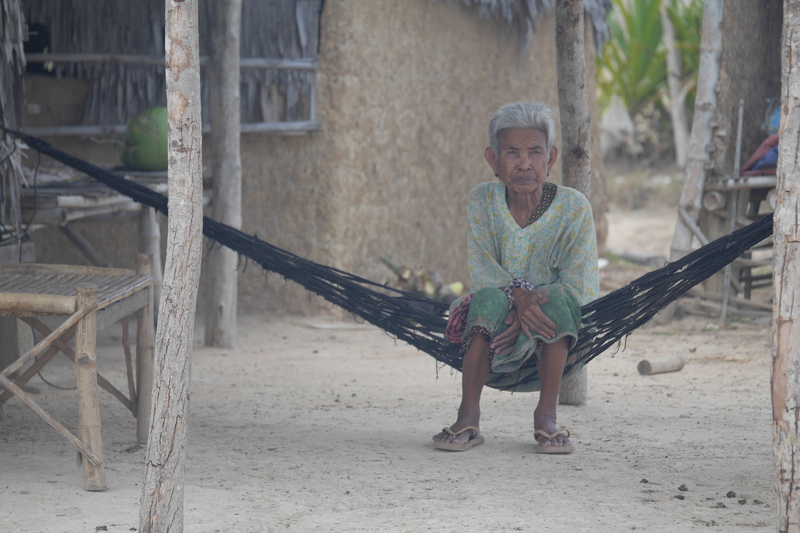 An elderly woman in Svay Rieng, Cambodia, 2013. The first western aircraft carrying aid lands in Phnom Penh. Operation California is the first aid group to enter the country. The cargo plane was chartered by Julie Andrews and Blake Edwards, two of Operation California’s founding board members. A two-hour TV primetime special titled “Because We Care” airs on CBS. More than 30 stars appear on air to raise funds for Operation California’s efforts to rescue Cambodian children from famine. Operation California sends material aid to clinics, prosthetics programs and orphanages while helping the Cambodian government set up the machinery to receive other aid groups. Warner Brothers Studios and Sir David Putnam turn the premiere of “The Killing Fields” into a charity event benefiting Operation California’s work in Cambodia. Hundreds of resettled Cambodian refugees (living in Long Beach, CA) attend the event. Warner Brothers Studios gives copies of the film to Operation California to take to Phnom Penh. Operation California arranges for 18 people involved in the film to travel to Cambodia for the film’s in-country premiere. Operation USA shares the Nobel Peace Prize as part of the International Campaign to Ban Landmines. Much of OpUSA’s involvement in the campaign involved searching for advanced mine-detection technology which could be used in the still existing mine fields in Cambodia. Operation USA still works in Cambodia, using limited funds and in-kind donations to provide medical equipment and supplies to King Sihanouk Hospital, which was set up to perform surgeries on land mine victims to prepare them for prosthetics. The hospital shares extra supplies from OpUSA with other hospitals and clinics in Phnom Penh. OpUSA also funds micro-finance and other economic development programs in the country. This year marks the 35th anniversary of Operation USA (Operation California). To learn more about our work around the world, visit our history page here.